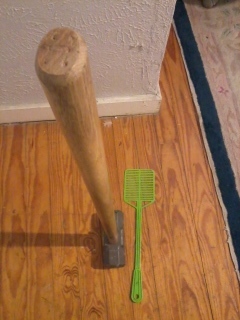 We had some BIG bugs at the old house. UHaul has not convinced me that the Smart Car is suitable to tow a trailer. My maternal grandparents had a telephone shelf in the hallway of their house in Titus County, Texas. 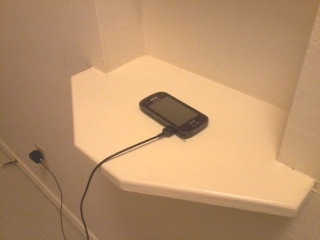 I'm really proud that 555 and I have a telephone shelf in our Dallas County house. 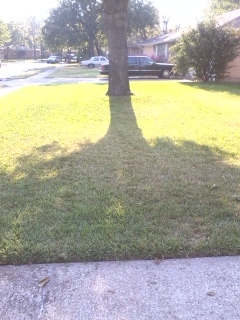 We have a tree in the front yard. 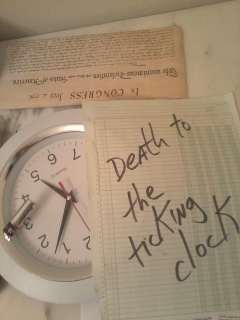 555 bought a clock at Three Dollar Admiral, batteries not included. It was hung on a nail and lasted two full nights before it became a part of the Yard Sale Inventory. Ticking keeps me awake at night. We'll acquire for ourselves one of those modern 'silent' clocks. 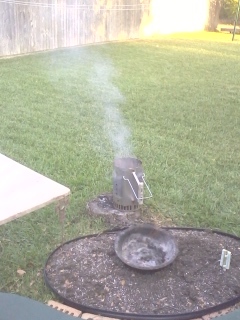 A stump in the backyard near the Pet Sematary makes a fine perch for the charcoal chimney. I'll slowly burn the stump away and allow Ma Natures vegetation to hide the grave site. Chill out, it's not like I'm gonna exhume the little fella.